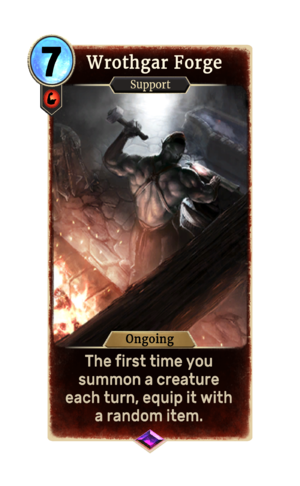 Wrothgar Forge is an epic Strength support card. It is part of the Core Set. The card is named for the Wrothgar region.